Sadiq Faqeer Sindhi Sufi Music Singer. 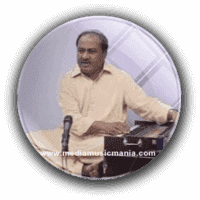 He was great Sindhi Classical Music singer. He was great Singer of Sindh and he sung great songs in Sindhi language. Sadiq Faqeer was sung most popular Songs "Tu Khaan Thendi Dhaar Khilendi Khilendi Yaar, Lurk Lari Piya Laar Kare" and also other lot of great Sindhi songs. Sadiq Faqeer was great Artist of Sindh and he sung in different Mehfils, Mela, Marriage ceremonies, Shrines of Sindhi Buzrigs. He started his career as a Artist from Radio Pakistan. He sung numerous songs of "Hazrat Shah Abdul Latif Bhatai RA", "Shaikh Ayaz" and other popular poets of Sindh, he sung reflecting the national sentiments and aspirations of Sindhi people. Sadiq Faqeer got postgraduate degree in Sindhi literature I have selected below most popular Music of Sadiq Faqeer. Sadiq Faqeer was born on 20th March 1967 in Diplo, Terhparker Sindh Pakistan. He got his education from "Mithi Therparker University". He received musical training from his maternal uncle namely "Hussain Faqeer". Sindhi Singer he was a renowned Sindhi Singer and create great name in Sindh Music. He belonged to the Sindhi Manganhar family. Sadiq Faqeer had several Sindhi Lok Music albums to his career, he is most famous and popular Sindhi Folk Music, Sindhi Lok Music Artist. Sadiq Faqeer breath his last on 26 February 2015 in Road Accident in Saudi Arabia while he was on his way to perform Umrah.